Just ahead of Christmas, the clever folk behind BrickPak have come up with a new gift idea for your LEGO® loving family members and friends. Introducing MiniFigPak.com; a subscription service for a pack of cool little LEGO® Minifigures (MiniFig's) delivered to door. In the same way BrickPak's work, your surprise MiniFigPak's arrive by mail. Choose to buy as as a one off, or on a recurring monthly subscription plan. 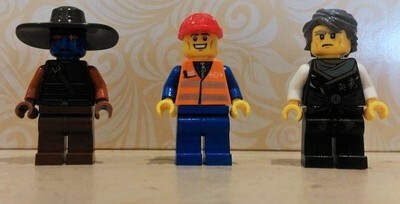 Each month, you will receive a set of three MiniFig's. Each boxed pack will contain 3 x LEGO® Minifigures. The MiniFig characters will consist of a City Minifigure, another LEGO® themed character such as a familiar face from The LEGO® Movie or Ninjago, plus one other licensed character. 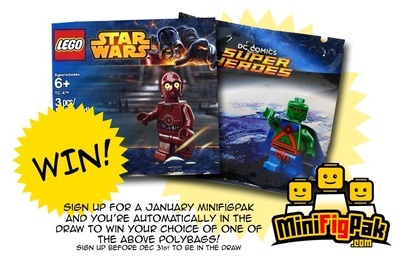 In other news, if you subscribe to a MiniFigPak this month, regardless of the subscription duration, you will automatically go into the draw to win a choice of either a Star Wars TC-4 Polybag or Superheroes Martian Manhunter Polybag. 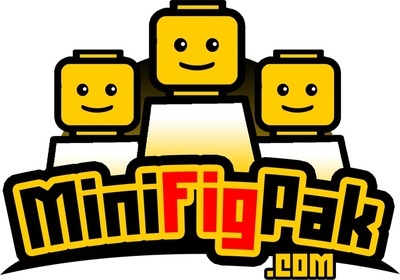 MiniFigPak.com works along the same lines as BrickPak; Australia's first and only subscription service for a mystery box of LEGO® loot delivered to your door. BrickPak subscriptions have been ongoing since March 2015. Subscriptions are available on a 1, 3 or 6 month basis. Read more about BrickPak subscriptions on KidTown Melbourne here. 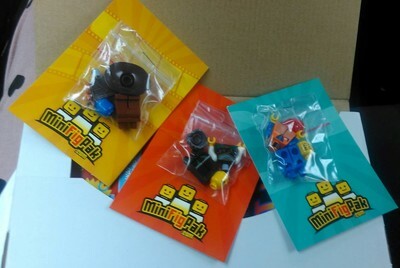 The first MiniFigPak's were delivered on 1 December 2015. KidTown Melbourne received a set to review. If you don't want to know what's in it, LOOK AWAY NOW! This is a nice variety of little additions to any child's LEGO collection. KidTown Junior is enjoying his latest MiniFig additions, and eager to know what set of MiniFigs will be in next month's pack. There are still some MiniFigPak available to buy, so why not consider buying the first month, and add the MiniFig trio to your child's Christmas stocking? MiniFigPak's are $17.95 per month (free shipping). Be assured that all figures and parts included in packs are genuine LEGO® pieces. Subscriptions are only available to Australian residents.